had replaced a value with an invalid value, you risk glitching up the game and getting a white screen. This does NOT mean that you are banned. To "possibly" solve this white screen issue, please follow the following steps EXACTLY. The steps are provided by someone who got a white screen and resolved the issue. Because like I said, the white screen is only the result of a glitch in your game and not a ban. Close all the browsers and programs that are using Flash to be able to do a clean uninstall. Run the Flash Uninstaller that you have just downloaded. Verify that uninstallation is complete. Check the Flash folder in your computer is deleted. Delete this folder if there are still any files inside. 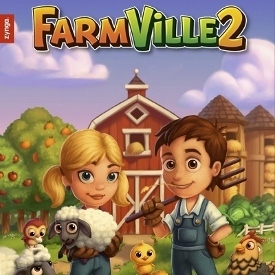 Now, try to open Farmville 2 and play again. He got his white screen fixed doing this. I hope those of you with the same problem gets the white screen fixed too! Remember, you must delete ALL traces of Flash from your computer. You can try to clear browser cache and delete all history from the Temp Internet folder as well to be extra safe.